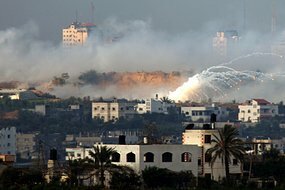 Human rights group Amnesty International has accused Israel of war crimes, saying its use of white phosphorus in Gaza was indiscriminate and illegal. White phosphorous is frequently used to produce smoke screens, but can also be used as a weapon as it causes extreme burns if it makes contact with skin. The use of the substance is not illegal under international law, but the indiscriminate use of any weapon in densely populated areas can be the basis of war crimes charges. 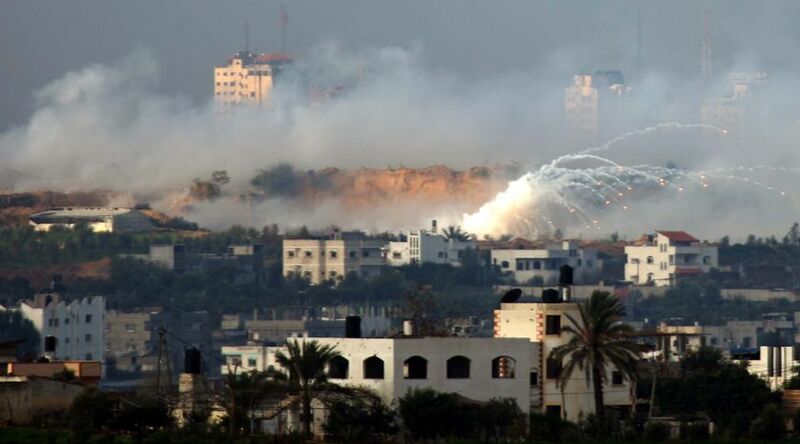 Israel has said it will carry out an internal investigation into the use of white phosphorous following similar claims by other rights groups. Medics in Gaza say over 1,300 Palestinians were killed during the offensive. Four thousand homes have been reduced to ruins and tens of thousands of people are homeless. A UN official says 500,000 people have been without water since the bombardment began on December 27 and huge numbers are without power. A continuing ceasefire in Gaza has allowed more Israeli forces to leave the Gaza Strip and Palestinians to return to their damaged homes. Israeli political sources say most troops will be out of the territory by about midday (AEDT). Bulldozers are beginning to clear rubble from streets and Palestinians have started returning to what is left of their homes to salvage clothes and food. Police are back on the streets directing traffic; shopkeepers are frying felafels. But Gaza’s return to life is slow as people come to terms with the scale of the destruction after three weeks of war. Homes and farms have been destroyed, and thousands remain injured. The head of the World Health Organisation is now warning that Gaza is exposed to outbreaks of disease. Aid agencies are beginning to assess the immediate needs of the territory, as well as what it will take to rebuild it; but until the terms of a permanent ceasefire are agreed, any reconstruction will be on hold. Hamas has vowed to replenish its weapons arsenal and increase its capabilities but Israeli government spokesman Mark Regev has dismissed the threats. “Over the last few weeks, Israel has hit and hit hard the Hamas military machine, causing the substantial disintegration of their military capabilities,” he said.